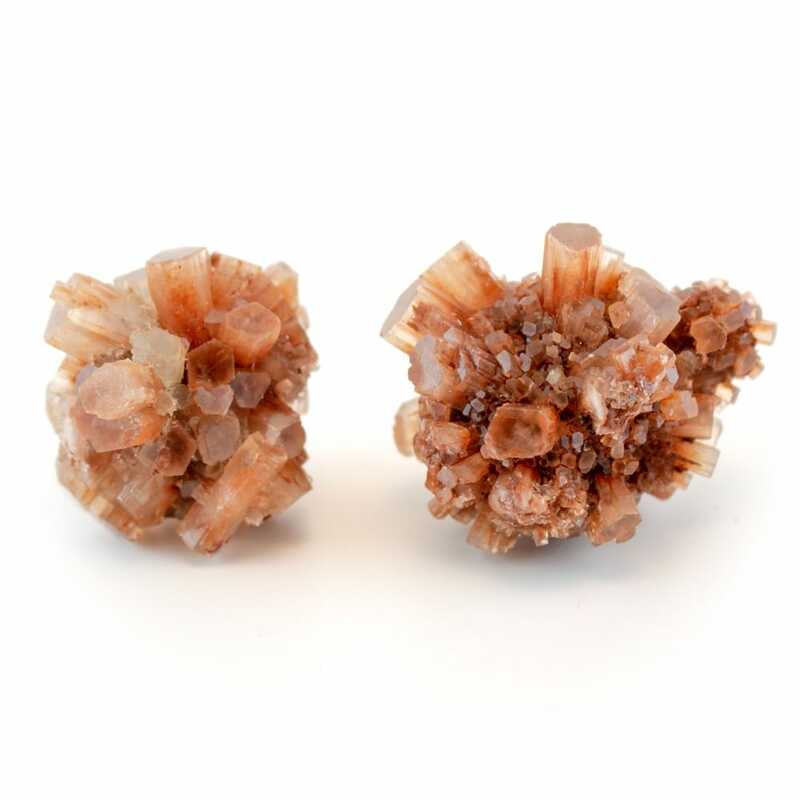 Aragonite is found in cluster formations, made out of small barrel shaped crystals emerging from the center. Its colors range includes grey, reddish, yellow-green, blue, brown, and even a bright white. Aragonite’s name derives from its discovery in the Aragon River of Spain in 1790 by Abraham Gottlob Werner. Aragonite is also found in China, Peru, Morocco, Mexico, and Namibia. Aragonite has a highly grounding energy that will stabilize you as you bring inner balance and expand your awareness. This stone teaches us renewed strength and will help to focus the emotions on things that are most important to you. In today’s society, many people tend to dwell on what’s difficult and not realize the negativity that they are producing. Aragonite helps in balancing the heart with the mind, allowing the release of emotional bindings weighing on the heart. This strengthens you as a person and gives you the confidence to overcome any difficult situation involving anxiety or stress. 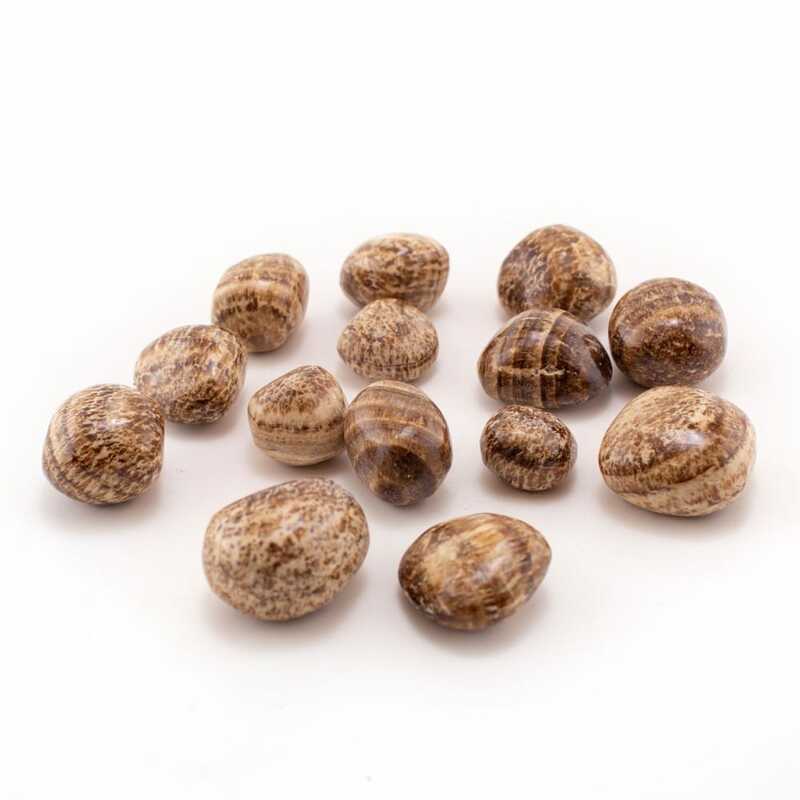 Aragonite will bring emotional stability by assuring that whatever pain you are feeling will pass, empowering and encouraging you to use all of your energies constructively. This crystal will help clear the mind, boosting motivation and courage to give you the energy needed to meet your challenges. This is especially effective in situations where you feel like backing down or running away. Aragonite reminds us of our own strengths and capabilities, and shows us that we have the power to face whatever comes our way. Overall, Aragonite will help to cope emotionally, mentally, and physically. It’s a powerful emotional healing stone that brings a sense of peace and tranquility to a normally unrest mind. This stone encourages new beginnings and renewed relationships. 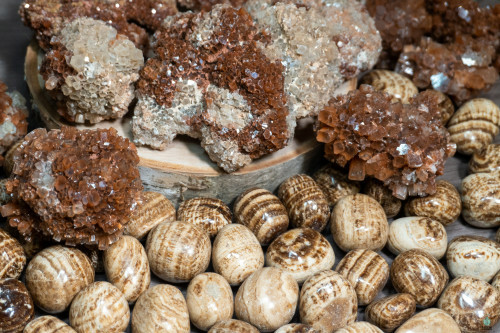 Aragonite, being an earth stone, is a powerful ally in forming a deeper connection to the planet. It teaches us to respect the power of nature and to do our best in staying healthy. This stone opens user’s eyes to the decisions they are currently making and helps to discern whether or not it is right for them. When working with this stone, one will start to bring higher vibrations down into the physical plane through the psychic abilities this crystal offers. Aragonite allows us to become sources of light and energy, and by doing so, we radiate to those around us. Let this crystal teach you ultimate balance and how to use it in maximizing your transformation. Aragonite works well when paired with high energy stones such as Moldavite, Herkimer Diamond, or Selenite. Using these stones in conjunction with one another will increase one’s transformation, unlocking psychic abilities that will help with interdimensional travel and astral projection.